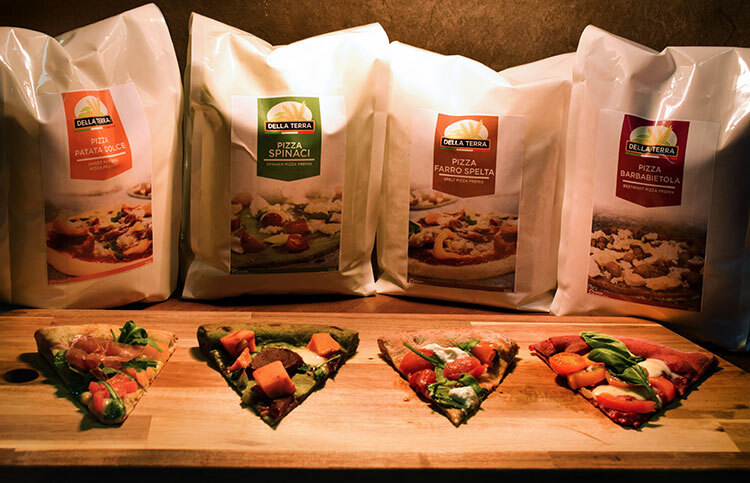 Eurostar Commodities, one of the UK’s leading suppliers of the finest commodities and innovative ingredients, is launching its own brand of vegetable flour pizza mixes, Della Terra. To celebrate the launch, Eurostar Commodities is offering 20% off all orders during September 2018. Della Terra allows pizza makers to create flavoursome and colourful pizza bases that are higher in fibre and a truly different pizza experience. The move comes as part of an exciting trend coming from Italy, where customers buy a slice of pizza with a flavoured base that increases both taste and texture, and creates a stand-out look and feel with purple, green, or orange pizza bases. Della Terra Pizzas will also have ‘healthy’ credentials with higher fibre and protein content. Aimed at busy kitchens, cafés, restaurants, and bars, the mix produces a dough with better extensibility to improve ‘rolling out’/’stretching’ and gives a characteristic crisp and fragrant taste. Della Terra is available from Italian wholesalers across the UK, or direct from Eurostar Commodities at: www.eurostarfoods.co.uk – During September 2018 20% off all orders to celebrate the launch. Eurostar is an innovative family business from Yorkshire, running since 1994. Eurostar supplies over 10,000 tonnes of product to the UK and Europe every year; we are ingredients experts. Eurostar sources the finest grains in small supply chains to ensure quality and provenance. Eurostar Commodities Technical Development Manager, Davide D’Auria, is now ranked as the UK’s best pizza chef. Davide was awarded the prestige of being ranked No.1 UK pizza chef at the Campionato Mondiale Della Pizza with a specialism in the Neopolitan pizza category in April 2018. For further information, please contact Helen Trevorrow or Vicky Hague at Green Row on +44 (0)7940 009138. This entry was posted in News and tagged Food Products. Bookmark the permalink.